HCM CITY — Families living near the Formosa Industrial Park (IP) in Đồng Nai Province have been forced to drill wells for water and breathe polluted air for years because of smoke emissions and untreated waste water discharged from the IP, local media have reported. The main cause of the pollution was the Malaysian-owned Chin Well Fasteners Việt Nam Co Ltd located in the Formosa IP, according to local media. The Formosa IP is part of the larger Nhơn Trạch 3 Industrial Park in the province’s Nhơn Trạch District. 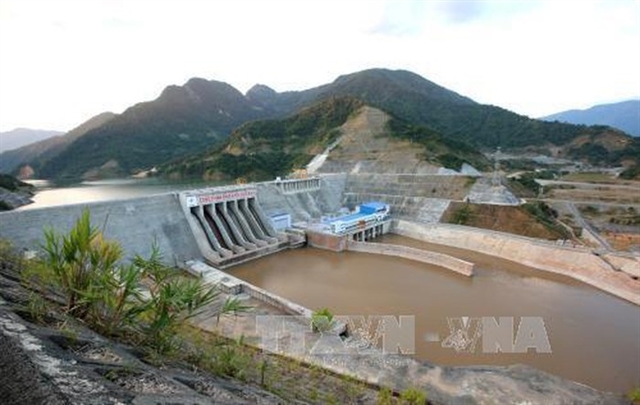 In 2001, Hưng Nghiệp Formosa Company rented 200 hectares of land to set up the Formosa IP. At the park, the company built a spinning and textile factory, a coal-fired thermal power plant and other infrastructure to lease to other enterprises, including the Chin Well Fasteners’ factory. Nguyễn Tấn Được, head of Hiệp Phước Commune’s Hamlet 3, said last week local residents complained about pollution for years, but authorities had taken no action. Without support from local officials, many residents turned to social media like Facebook, seeking help from the public by posting video clips. 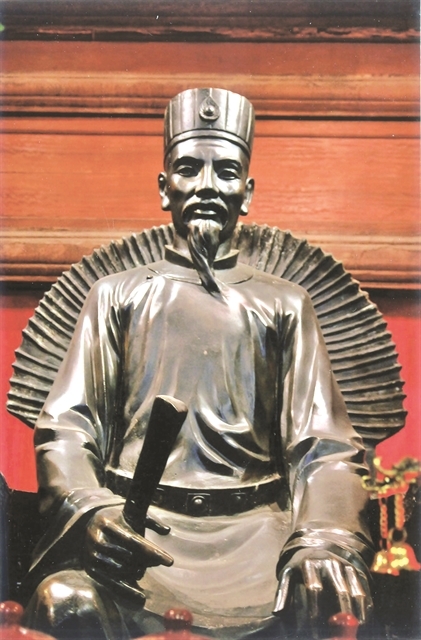 Trương Xuân Tiến, of Hiệp Phước Commune, said residents had not had fresh air for 10 years, when the Chin Well Fasteners factory began operating. “The odor is terrible. Sometimes the waste water looks yellow, but it’s black at other times, like motorbike oil waste,” he said. Hiệp Phước Commune is densely populated, with mostly migrant workers living near factories in IPs. Phạm Thị Đào, of Hiệp Phước Commune, said her family and 50 workers living in rented rooms had to use water from a drilled well next to a polluted IP. Nguyễn Thị Lưu, a worker in Nhơn Trạch 3 IP, said she had no choice to breathe the polluted air at the factory and at home in the evening. Though she has been warned about using water from drilled wells, she cannot afford to buy clean water. Lê Bá Thành, of the commune, said 20 areca nut trees in his garden had withered and others were showing signs of dying. Lê Bá Tường, a commune resident, attributed the cause to smoke from the IP, as well as polluted underground water and alum-affected water. “My house is located near the culvert of the IP. When it rains, I see black waste water from the culvert discharged directly into the Gò Dầu and Thị Vải rivers,” said Huỳnh Văn Hoa, 58, of Long Thọ Commune. Local media have also reported that Đồng Nai authorities have carried out an investigation of environmental violations allegedly committed by the Chin Well Fasteners factory. Đồng Nai Province police, working with the provincial Department of Natural Resources and Environment, discovered during an unannounced inspection that Chin Well Fasteners was discharging untreated waste water into the environment. The company was also found to have illegally buried about 200 tonnes of harmful waste and mud. 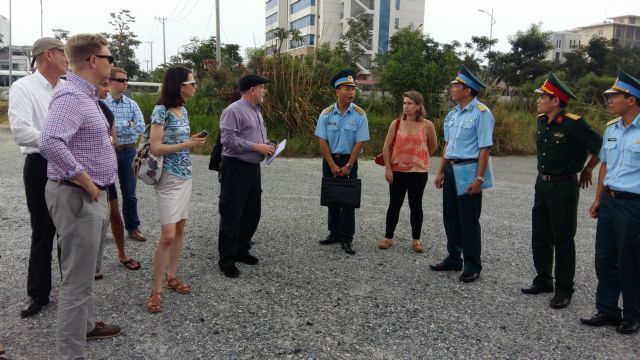 Along with Chin Well Fasteners’ violations, local residents have complained about pollution caused by Hưng Nghiệp Formosa Company in the Nhơn Trạch 3 IP. Established in June 2005 with investment capital of US$80 million, Chin Well Fasteners Việt Nam, a subsidiary of Chin Well Fasteners Co., Sdn., Bhd., produces screws, nuts, bolts, threaded parts and rivets, among other items. The company, which has over 600 employees, exports products to the US, Europe and countries in Southeast Asia. Recently, the Đồng Nai environmental police caught two tractor trucks carrying thousands of litres of hazardous waste, which reportedly came from a company located in Formosa Industrial Zone in Nhơn Trạch 3 IP. The trucks, registered in Đồng Nai Province, were each carrying three blue plastic barrels. Each barrel contained about 1,000 litres of hazardous waste from a company in the Formosa Industrial Zone. The police seized the trucks and waste for further investigation. On July 28, Đồng Nai environmental police in coordination with the Department of Natural Resources and Environment raided Chin Well Fasteners and noticed that the company was using two waste water discharge pipes. One pipe was discharging untreated waste into the environment. The authorities also discovered hundreds of tonnes of hazardous waste buried on the company grounds. Võ Niệm Tường, head of the Environmental Protection Division at Đồng Nai Province’s Natural Resources and Environment Department, said her division was working closely with environmental police to investigate the discharge of untreated waste water. The province will announce the results as soon as the investigation ends.